anything to do with sports/games..
if your stuck you could get patriotic and use the colours og your flag. so I had think and be creative. rubber and staple with a print of the Olympic rings. and his rings in the sky. giving one lucky winner this 'Best of British' digi kit. HM&F Monday Challenge to see them. 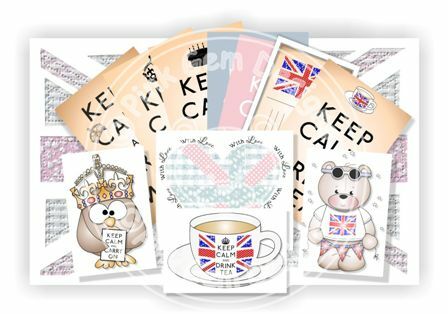 to the official House-Mouse Designs site found here! 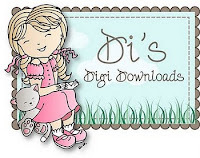 the site's sidebar and follow the steps to upload your projects. Top Tip Tuesday- #81 It's all about Circles! Anything Goes Challenge- #72 Let's not be Square! Så kom sommeren endelig, hvor er det dejligt. fremover vil bli' koldere og vådere igen, lidt øv! og kant puncen der er forskellige. Her har jeg brugt blomstret mønsterpapir fra Basic Grey. men jeg synes papiret er flot. 'Punch All Over The Page' . Tekststemplet er fra LOTV, 'Mixed Circular Sentiments'. og noget hvide papir med prægede/embossede blomster. Jeg har haft det i evigheder, men aner ikke hvor der er fra. den er anvendelig til alle typer kort. men jeg vælger at skylde på den -forbigående- sommervarme! Nyd jeres dag, hvor end I er. O for Open it up, DT card for ABC Christmas Challenge. I'm the lucky one hosting this time. O for Open it Up! you're feeling extra creative, you can do the back, too. It cost me a fortune, but it was worth while! 'personally delivered cards' and 'mailed cards'! My card for today is definitely a personally delivery card! I have used a lovely image from Magnolia for my card. 'Tilda and Edwin on ice' it's called. Look at Edwin how caring he's holding his Tilda. Or maybe he's just a newbie skater?! Tilda's wearing paper piercing clothes. The papers are from Maja Design, I love them! For once I have distressed the edges with distress ink. a die from Marianne Design. And a little mittens charm added to the bow. Christmas greeting from us to you'. At the other side there's space for a personal regard. and use my personal ' handmade by' stamp. 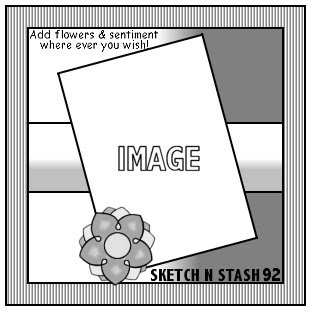 I have used the sketch from Sketch N Stash. challenge at House-Mouse & Friends Monday Challenge. or anything to do with Summer! 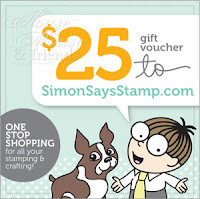 you can find it here at Simon Says Stamp! 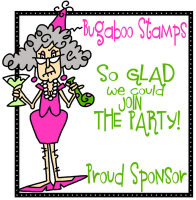 The sentiment is also a House Mouse stamp. I have used my new Distress Markers for the sentiment. I'm looking forward to learning how to use the markers. My back side of the card with the usual look. I hope you can find some time to come and play along with us this time. please take a look at the HM&FMC. Hanna and Friends- #150 Wir Feiren!! Chrisma Cardz Challenge-# 28 Your Favourite Animal. Joanna Sheen Challenge- Animal Crackers! I al sin enkelthed kom de til at se sådan ud. Sommerfuglene er lavet med en die fra Die-namics. Basic Grey serien 'Kioshi', og en stribe med ensfarvet Bazzil. Helt enkel bagside med mønsterpapir og mit håndlavet af stempel. challenge at ABC Christmas Challenge. a cute Gruffie trying to ski downhill. It's the first time I use him, a great image. He is coloured with Prismacolors. so I had to give it another try. The papers are from Papirdesign, a Norwegian company. I love the blue and brown together. 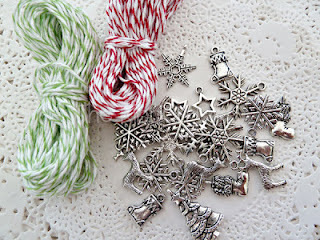 The snowflake border punch is from Martha Stewart. A close up on my little fellow, can you see the sparkling snow? Charm, pearls and ribbon are from my stash. 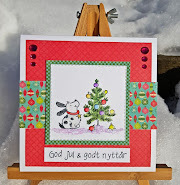 Christmas Stampin' All Year Long-#19 Not Inky Yet! out in the garden, walking, watcing movies. you to share with us anything to do with summer fun. a cute image with a Happy Hopper (Happy Flyer?). The lovely paper is from Kaisercraft. I have sponget cloudes using Bev's pattern and tutorial here. Thank you Bev, for sharing your ideas. to make it look more real. The round sentiment is from LOTV, Mixed Circular Sentiments. Happy Hopper disapearing out of the card at the right. On the backside my personal stamp as usual. of their choice from Joanna Sheen. Hope you will be joining in the fun. We can't wait to see your awesome SUMMERTIME creations! Endelig week-end og fri for mange af os. Sikkert også feriestart for en god del. For ikke så længe siden fyldte en venninde rundt. noget til haven og et gavekort. Dette her er resultatet. En flok med glade gratulanter; os?? Det herlige stempel er fra Whipper Snapper. Tekststemplet er fra Kraftin' Kimmie. Papiret er fra Bo Bunny, perler og bånd fra mine gemmer. Jeg var nødt til at stemple en skålende dame her også. mit stempel med 'Håndlavet af'. N for Not A Card, DT project for ABC Christmas Challenge. the summer with a brand new challenge for you. better than sunbathing and swimming! summer weather, please send some of it my way. N for not a card. a look here and see what my talented teamies have made. given the team some images to use for this challenge. and Clementine Winter from Stamp Fairy. and there's a lot of Stickles on the snow. new snowflake folder from Cuttlebug. For once I have distressed the edges on the papers. The original box was wooden colour, so first I painted it white. The red ribbon fit perfect for the edge of the lid. The text says 'Happy Christmas'. I guess you could translate it yourself. to cut it out, but with a bit of patience I did manage. Christmas and a happy new year' is from Unik Stempel Design. I had to find a place for my usual 'Handmade by' stamp. We have to sponsors for this challenge. 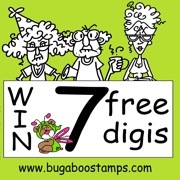 giving a $20 gift voucher to a random winner. Giving a $10 gift certificate to the shop. summertime and days off- if it's summer where you are. for this fortnight's House Mouse & Friends Monday Challenge. Our theme- Let's Get Fruity- is chosen by Paula. It's the first time I'm inking up this cute image. I love their small blueberry blue mouths. were so very perfect for this image. I have added Glossy Accent on to the berries. Button and pearls are from my stash. at the inside of the card. have you seen the design before at my place? giving a $25 gift voucher for the shop. 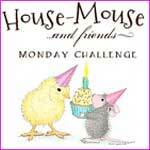 on over to the House Mouse and Friends Monday Challenge to see them !